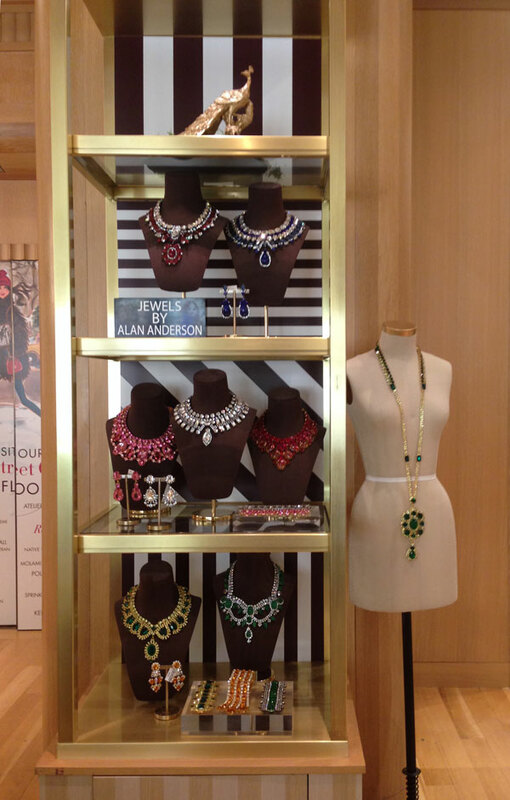 Jewels by Alan Anderson is pleased to announce that there is now a permanent display of Alan’s work at Henri Bendel New York. 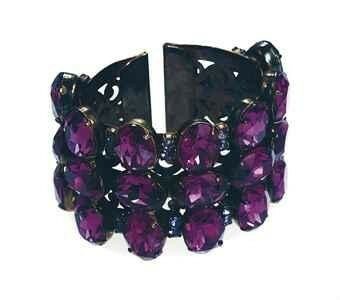 The recent pop-up shop was a lot of fun but we are truly honoured to now have a permanent home at Bendel’s. 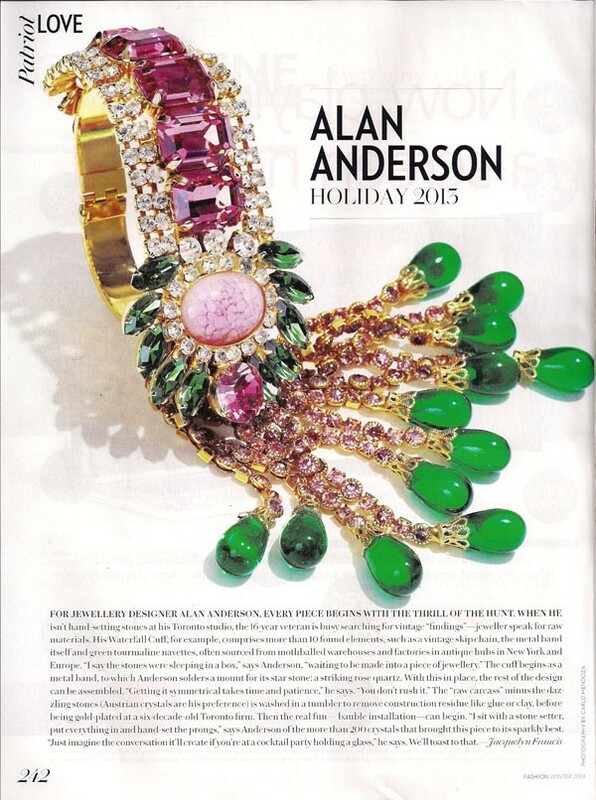 FOR JEWELLERY DESIGNER ALAN ANDERSON, EVERY PIECE BEGINS W1TH THE THRILL OF THE HUNT. When he isn’t hand-setting stones at his Toronto studio, the 16-year veteran is busy searching for vintage “findings” – jeweller speak for raw materials. 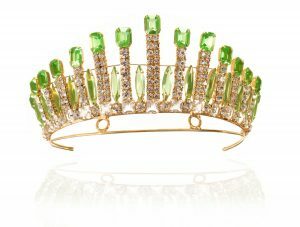 His Waterfall Cuff; for example, comprises more than 10 found elements, such as a vintage skip chain, the metal band itself and green tourmaline navettes, often sourced from mothballed warehouses and factories in antique hubs in New York and Europe. “I say the stones were sleeping in a box,’ says Anderson, “waiting to be made into a piece of jewellery” The cuff begins as a metal band, to which Anderson solders a mount for its star stone: a striking rose quartz. With this in place, the rest of the design can be assembled. “Getting it symmetrical takes time and patience,” he says. “You don’t rush it.” The “raw carcass” minus the daz­zling stones (Austrian crystals are his preference) is washed in a tumbler to remove construction residue like glue or clay, before being gold-plated at a six-decade-old Toronto firm. Then the real fun – bauble installation – can begin. 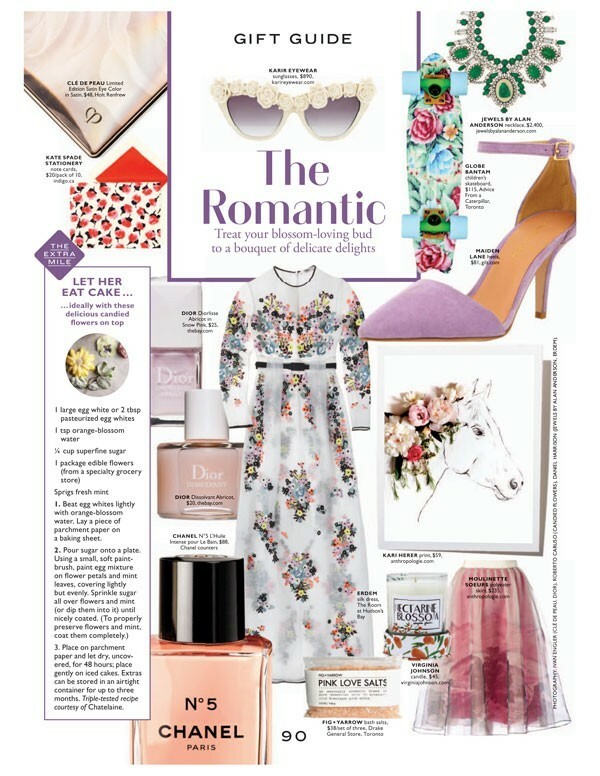 “I sit with a stone setter, put everything in and hand-set the prongs,” says Anderson of the more than 200 crystals that brought this piece to its sparkly best. “Just irnagine the conversation it’ll create if you’re at a cocktail party holding a glass,” he says. We’ll toast to that. A stunning ruby and crystal collar designed by Alan Anderson makes its media debut in the 30-second commercial for Katy Perry’s new fragrance, KillerQueen. 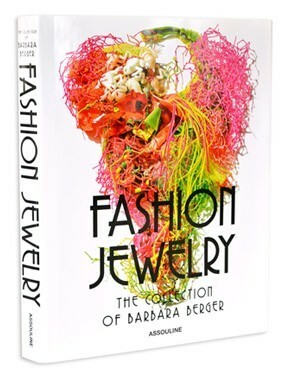 Ms. Perry has been photographed wearing Alan’s jewellery before, including an appearance on the cover of Italian Vogue July-August 2012, but this is the first time we see Alan’s work on video. 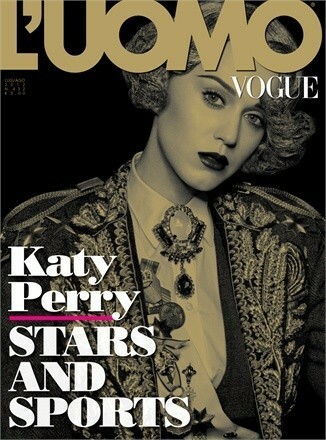 Katy Perry featured on the cover of Italian Vogue July-August 2012, wearing a classic Alan Anderson brooch.